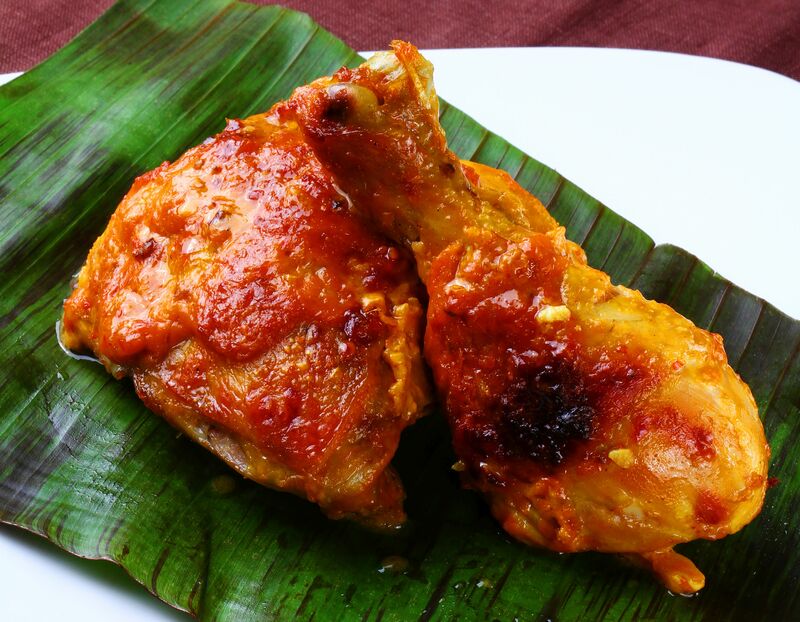 Make this family-favourite Grilled Percik Chicken for a wholesome sahur or Hari Raya meal. This recipe was first published in Flavours magazine. Blend onion, garlic and ginger until fine. Add the paste and the rest of the ingredients into a pan over medium heat, stirring occasionally until chicken is half-cooked. Remove chicken from the pan, reserving gravy, and place onto baking tray. Pour some of the gravy over the chicken. Grill the chicken in the oven, turning when needed, until fully cooked and browned. Cook the rest of the gravy until thick and pour over chicken when serving.